The Dark Avengers and Norman Osborn may be assembling as part of the Marvel Studios Phase 4 plans following The Avengers 4. It's currently rumored that Kevin Feige and Marvel Studios had a Dark Avengers script written, but it's not known if or how along the project is in development. It is also further speculated that since the Dark Avengers comic book storyline made use of Norman Osborn, that Sony's planned Silver and Black movie was split into solo films for the characters because Feige wants use of Osborn (as Sony owns the rights to Norman) in the MCU. The news also fits with it recently being said that Sony wants its characters to connect even further to Spider-Man, the MCU and the Avengers. In the comics, the Dark Avengers is a team consisting of "Iron Man" Norman Osborn as the leader, who dons the Iron Patriot armor, along with Scorpion Mac Gargan as "Spider-Man" with the Venom symbiote, Moonstone Karla Sofen as "Ms. Marvel," Bulleye as "Hawkeye," Daken as "Wolverine," Noh-Varr as Captain Marvel, with Ares and the Sentry. A second team also consisted of The Gorgon as "Wolverine," Skaar as "Hulk," Superia as "Ms. Marvel," Trickshot as Hawkeye, Ai Apaec as "Spider-Man," ​Toxie Doxie as "Scarlet Witch," and Ragnarok as "Thor." 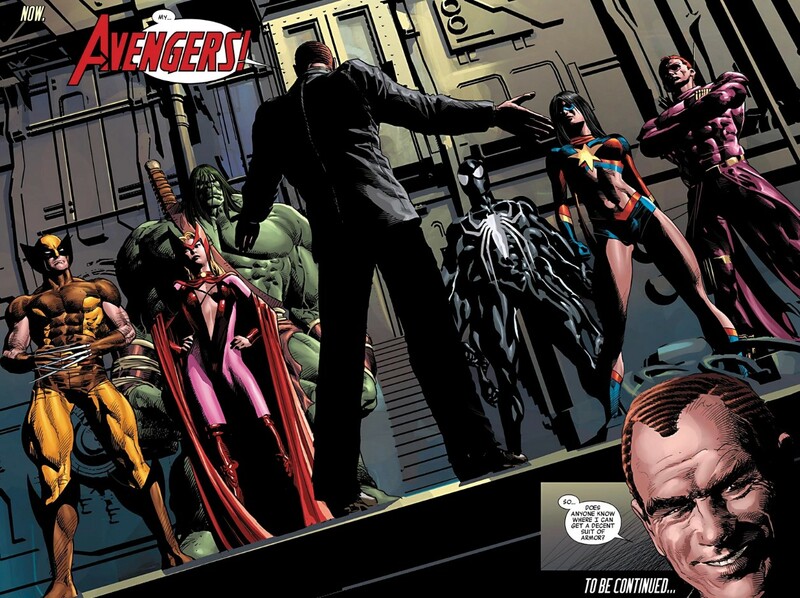 The Dark Avengers come about when Norman Osborn defeats the Skrull invasion and is awarded the leadership of SHIELD, with its members being supervillains in disguise. The story was written by Brian Michael Bendis with art by Mike Deodato and lasted for sixteen issues from the end of Secret Invasion to around the start of Siege. Dark times call for Dark Avengers! And as Norman Osborn's reign begins, he assembles a terrifying team in his own image! Who are his handpicked Hawkeye, Spider-Man, Wolverine, Ms. Marvel and more? The answers will shock you! Donning the armor of Iron Patriot, stormin' Norman leads his Avengers into action - but soon they will face a foe they cannot defeat: the deadly, deranged Molecule Man! Meanwhile, Marvel Boy joins the new regime, but he has no idea how sinister a gang they actually are. How will he react? And with Ares off being an Avenger, does he know where his son is? When he finds out, there'll be hell to pay! Plus, after years of mystery, the secrets of the Sentry are finally revealed! 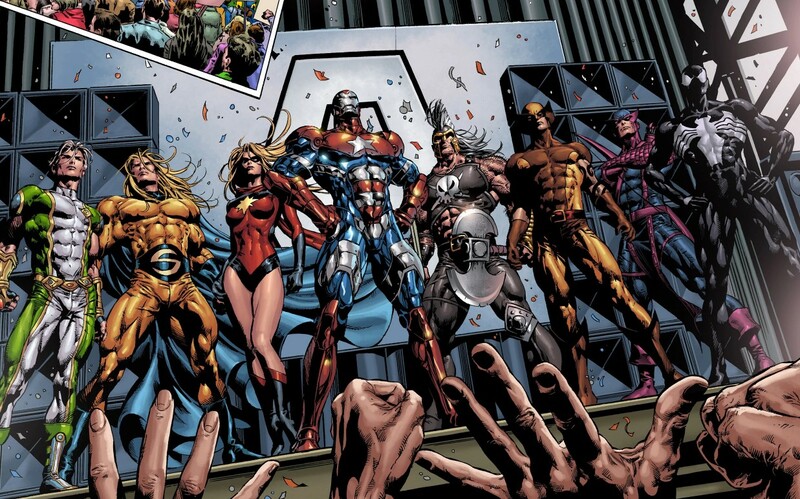 Dark Avengers assemble...they're Earth's frightening-est heroes! Interestingly enough, a Sentry movie has been rumored as part of the Marvel Studios Phase 4 plans as well, which could always have been Dark Avengers. The upcoming Captain Marvel movie also introduces the Skrulls to the MCU, so assuming the rumor is true, it will be interesting to see how Kevin Feige adapts the concept for the MCU and introduces the characters. It is known that Feige doesn't like to strictly adapt the comic book source material, so the Dark Avengers could always be made up of a different group of characters, but at least it seems as if Norman Osborn will still be its leader.